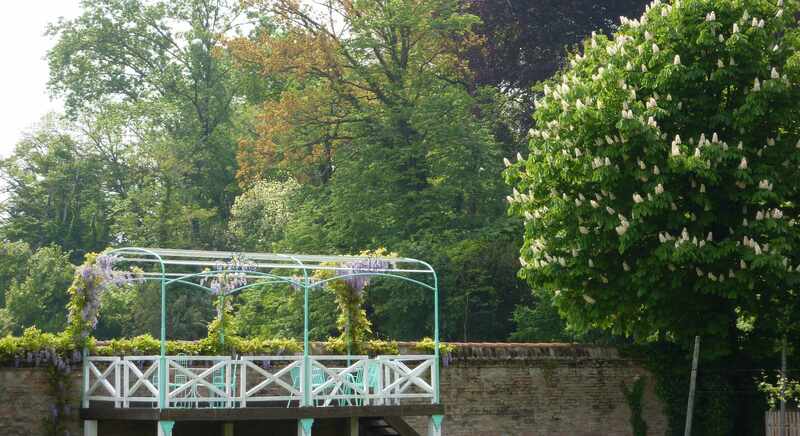 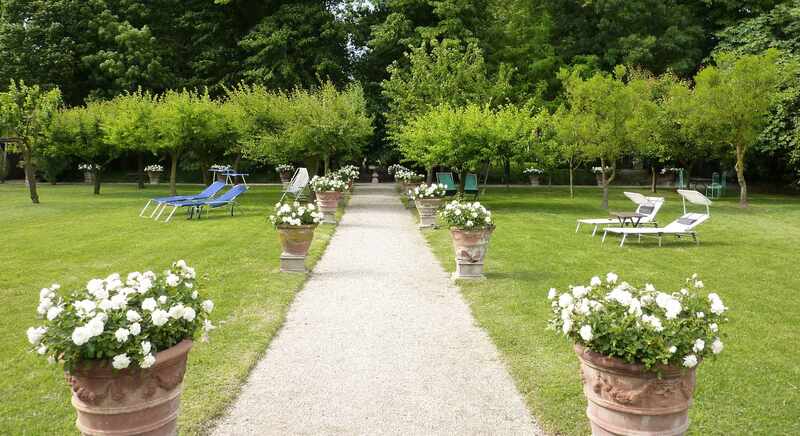 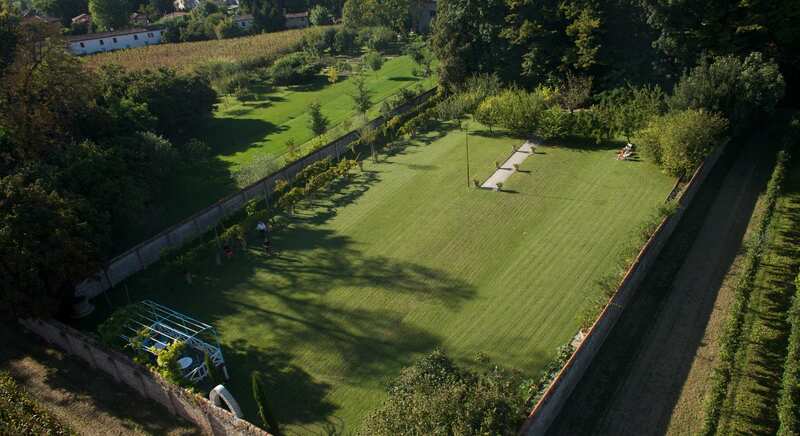 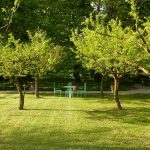 Our park: stretching for about two and a half acres (10.000 square meters) southern to the Villa, you can appreciate three different areas: the garden itself in front of the main building and the dependence, the orchard and the vegetable garden bordering on the countryside. 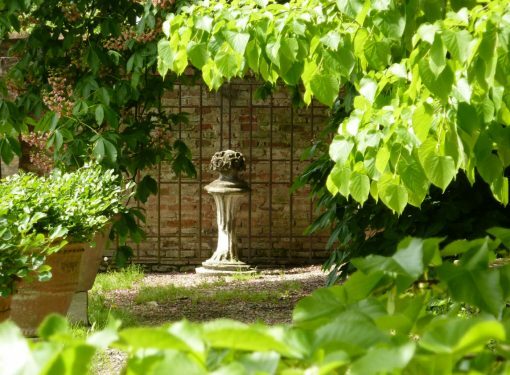 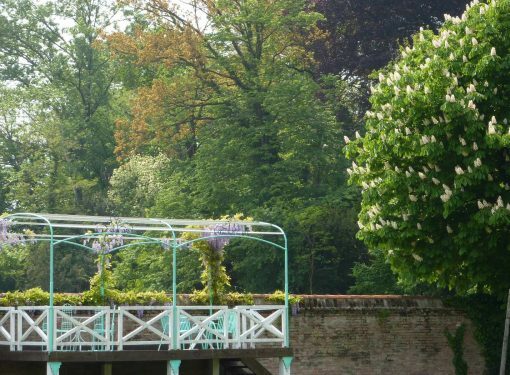 The garden is characterized by over 250-years-old secular trees and crossed by a long path where you can find some ancient marble wells and water polls for the birds. 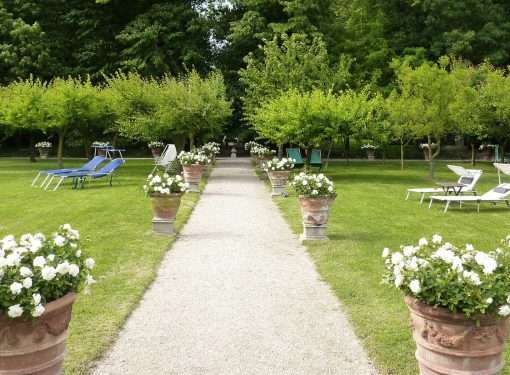 The orchard (“brolo”) is made of over 30 fruit-trees of different fruit varieties and two rows of vines so our guests can always pick up some fruit straight from the trees. 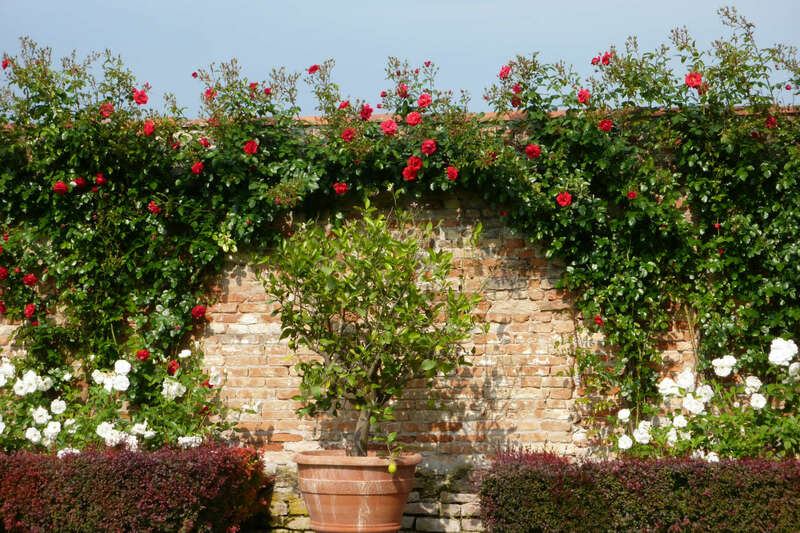 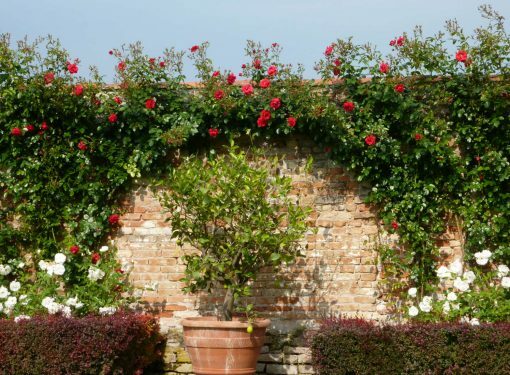 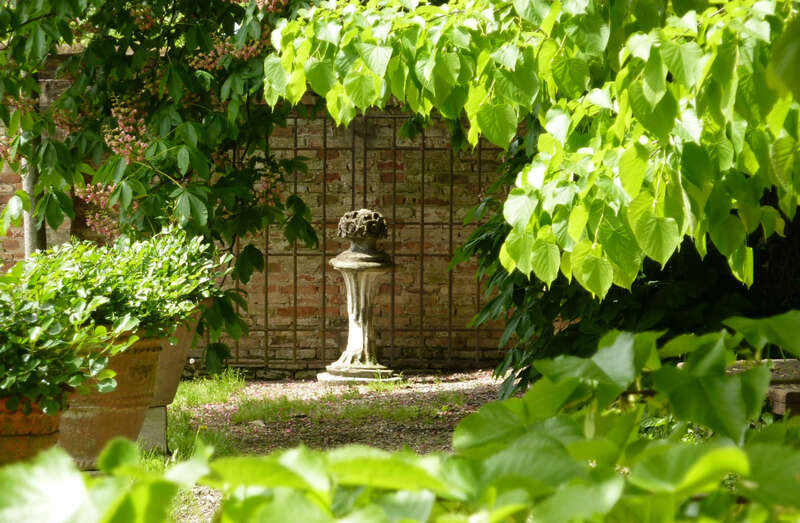 The vegetable-garden is enclosed by an old boundary wall and a rose bush; here the atmosphere of a Benedictine monastery is really pleasant and relaxing. 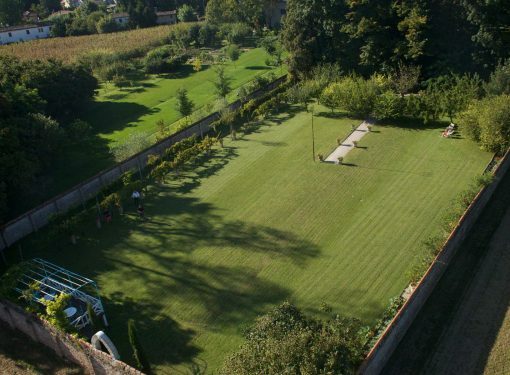 A Belvedere terrace (panoramic view), built in the southern part of the ancient wall, allows you to contemplate and admire the surrounding countryside in a state of complete silence and relax.